The Community Quilt Along is Finally Here! Community is a modern quilt designed by Keith Phillips of QuiltFusion. Keith also designed last year's online One World Quilt Along, which was a huge success. Like the One World Quilt Along, the Community Quilt Along is in several parts (4, to be exact), with each new part being released on the 18th of the month, starting on September 18, 2017 and ending with the final part on December 18, 2017. Community is a pieced and fusible web appliqué project so it is easy to do, even for a beginner. Community uses solid fabrics in its construction, so if you have always wanted to try a project with these types of fabric, now is the time to enrol. This is an online quilt along so you can join from anywhere in the world. As long as you have access to the internet, you'll be able to enrol in the Community Quilt Along. 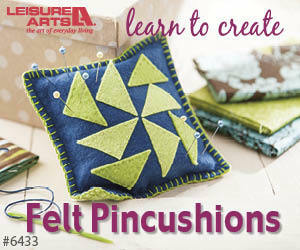 Each month you will receive a block pattern as well as an instructional video for that block. To help you in constructing Community, additional reference documents will be sent to you when you enrol and there are special BONUSES as well. You may want to make Community but feel that you don't have time to make it starting in September: no problem! When you enrol in the Community Quilt Along, all of the patterns and videos are yours to keep so you can work through the quilt at your own pace. Enrol now to lock in the introductory price* and make Community when you have time. For more information on the Community Quilt Along, watch the video below or on my YouTube channel. I hope you'll join me and other quilters around the world in the Community Quilt Along. For more information and to enrol today, click here. P.S. *I almost forgot to mention that there is a special introductory price of $49.99 USD on the Community Quilt Along. Enrol soon to take advantage of this low price. It will be increasing once the quilt along starts on September 18, 2017. Can you believe it? We are at the last instalment of the One World Quilt Along! Yes, it's finally here! This instalment isn't even a block, really, although I think of it as Block 7. It is actually putting all of the blocks that have been created into the quilt itself by adding sashing and borders. 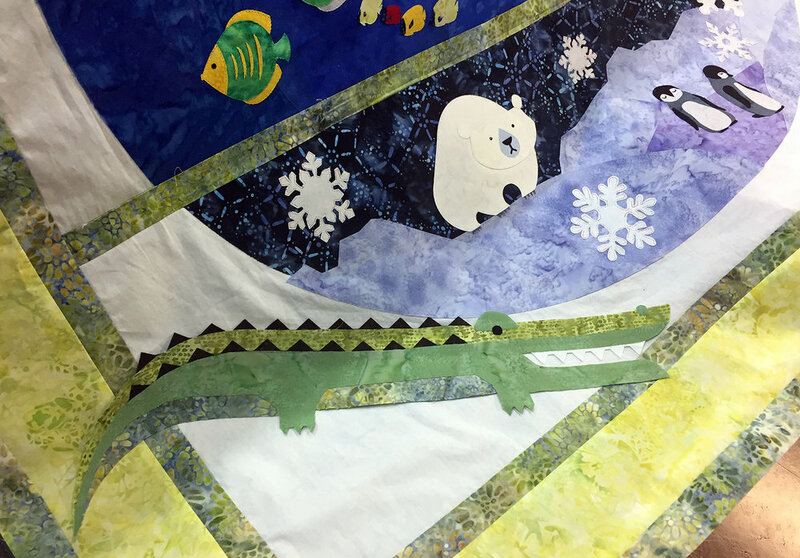 There is one more appliqué to add as well: an alligator. Once this has all been done, the quilt top will be ready for quilting. I'm feeling a bit lost down here. Can I hang out in the trees with you? I'd really love a hat like that! If you haven't joined the One World Quilt Along, there is still a bit of time to subscribe before it ends. Each block in the quilt is constructed individually so you can really start working on any block - you don't have to start with Block 1. In addition to the blocks, you will also have access to videos for each block to help you complete the quilt. There are two subscription options: Quilter or Viewer. Check out the details here. Now all that remains is to decide on the prize winners! One of our lucky Quilters will be winning a Janome Artistic Edge digital cutter. There are also lots of fabric-y prizes donated by Hoffman California Fabrics and, last, but not least is a year's subscription to QuiltFusion. Just think of all the wonderful quilt patterns you could create with this amazing software! I can hardly wait to email the winners of all these wonderful prizes. Keith and I so appreciate the support of Janome, Hoffman California Fabrics, Curious.com (prize already awarded), and, of course, QuiltFusion. While this may be the end of the One World Quilt Along, Keith and I will be back with another awesome design for our next quilt along. If you have any suggestions for the type of design you'd like to see, please leave them in the Comments below. It's November 15 and that means that Block 3 of the One World Quilt Along is now available. We're almost halfway through this quilt along and I hope you are enjoying it as much as Keith Phillips of QuiltFusion and I are. I'm glad to see people posting photos of their first two blocks on the Facebook group. We love to see what you are all creating! If you haven't joined the One World Quilt Along yet, we hope you'll consider joining it. You can join at any time and we'll send you any previous blocks and information that you may've missed. Just go to www.quiltfusion.com/one-world. Remember to join the Facebook group once you've signed up for the quilt along so you can participate with the other quilters. Just go to One World Quilt Along Facebook group and ask to join. We'll add you right away. Keith has posted a new instructional video for Block 3. I am just putting the finishing touches on my video due to a bit of a delay due to some unexpected surgery - some things you just can't plan for! You'll find them on the One World Quilt Along playlist on my YouTube channel. If you haven't already watched the previous videos for Blocks 1 and 2 in the playlist, you'll want to do this before you start creating Block 3. You have a chance to win prizes in this quilt along, so join us now and you could win fabric from Hoffman California Fabrics, a subscription to QuiltFusion or even a Janome Artistic Edge digital cutter, our grand prize. Enjoy creating Block 3 in the One World Quilt Along.